You are here: Home / Blog / school based therapy / Were You Adequately Prepared to Provide School-based Therapy Services? 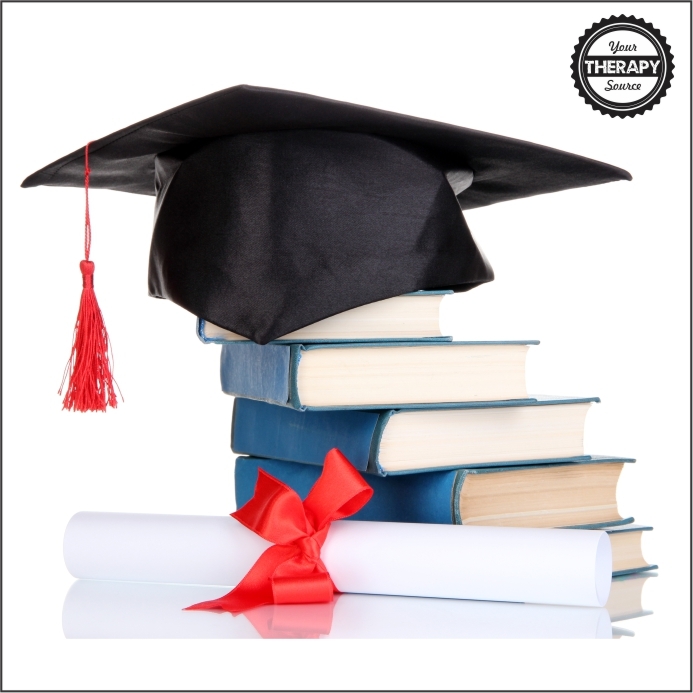 Were You Adequately Prepared to Provide School-based Therapy Services? 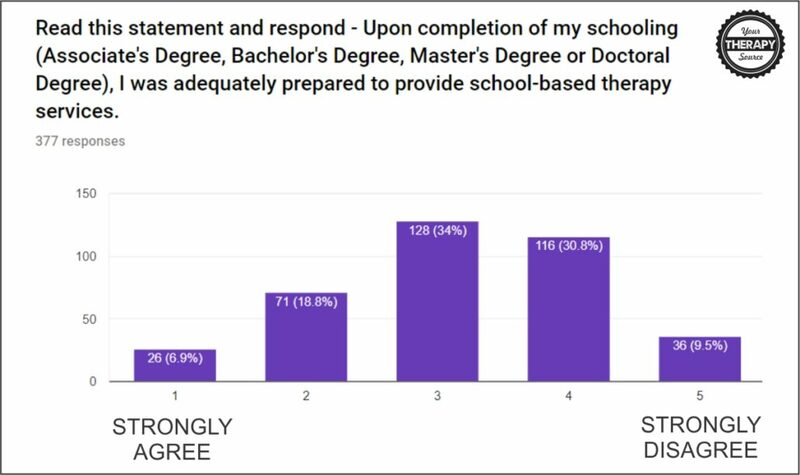 Recently, we posted a survey asking the question: Were you adequately prepared to provide school-based therapy services? The reason why I asked this question, is I know I was not. When you are taught following a strictly medical model and then you enter a system of a strict educational model it came with a huge learning curve that was hard. I was lucky enough to have had an 8-week pediatric clinical assignment at a preschool so it could have been even worse. Learning all there is to know about school-based therapy services is an ongoing process regardless but I was curious if others experienced that same feeling of unpreparedness that I did following graduation. Here are the results following 378 responses to the survey! Question 1: What is your title? Question 2: Read this statement and respond – Upon completion of my schooling (Associate’s Degree, Bachelor’s Degree, Master’s Degree or Doctoral Degree), I was adequately prepared to provide school-based therapy services. The range was 1 through 5 with 1 at Strongly Agree to 5 at Strongly Disagree. PS – when done reading through all the hundreds of responses below don’t forget to answer our current survey. I went to school a few years after PL 94-142 was implemented, so working in the school system was in its infancy. I would change the ability to go back and take my pediatric course again NOW. Nothing, I had a fantastic education, fieldwork and mentorship prior to providing school-based therapy. instruction to include knowledge of the applicable laws governing school-based provision (IDEA, etc) with practical application in deciding when and what school-based services are educationally relevant. This is also important for outpatient service providers to know – parents should not be told that school-based services are a free replacement of outpatient services. Learn more about interventions for school-based therapy (direct 1-1, environmental). More exposure to school-based practice/treatment techniques. Better knowledge of the IEP process. More education on the motor process of hand writing . More info directly related to school based service. Internship requirements to include school-based therapy. I needed more information/knowledge about providing services using an integrative/push-in model. The option from my university to participate in a school based fieldwork placement. nothing. I was lucky because I did an 8 or 12 week fieldwork in a school! 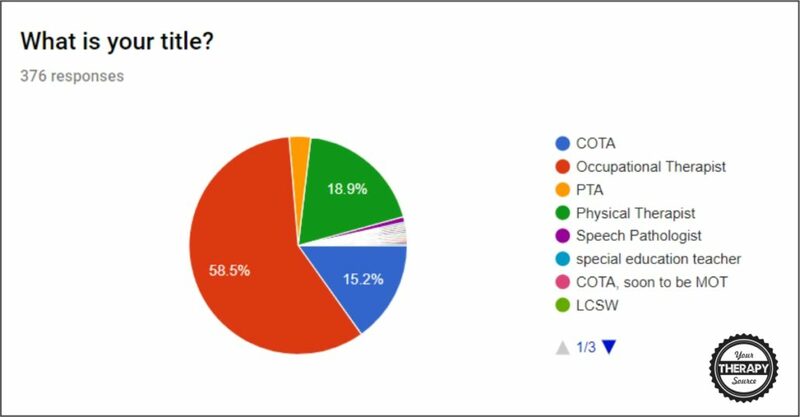 There should be a requirement for new COTA/L training in schools, as it is very different than any other clinical setting. Often, I think new hires are just thrown in to figure it out- you either sink or swim. Learn about the difference between medical and educational based practices and what “educational need for services” really means. having the opportunity to participate in more hands-on classes and treatment intervention classes. Learn about the differences between educational and medical models and what “educational need for therapy services “ really looks like. and have more exposure to the process of school based therapy, and integrated multidisiplinary team work. How much information regarding the difference between educationally based services and medically based services we received. For those who want to go into school based practice, a fieldwork affiliation of at least one school should be required. I would like to see more information on non medical therapy services. Nothing! As I love my job!! nothing! I felt like I was prepared with foundational OT skills that I have been able to apply to school-based therapy services. the amount of time spent on pediatrics and specifics to different settings within pediatrics. Want to learn more about executive function, have more knowledge about tests needed to be given to students,more on sensory processing, and Assistive technology! How about more on IEP’s and Laws of the states we are working in? Teaching more how to work as a team with multiple providers. I think difficult to be in schools at first because minimal contact with other therapists. the fact that I had no training for school based therapy. I was minimally educated on pediatric based therapy in a hospital or out patient based therapy setting, but had no training for school based therapy. Additional information of what school practice involves. I would have liked more internship time in a school. Would have loved a class on how and why OT is a related service, how it fits into the IEP, guidelines to follow for providing OT in the schools. One college course designated for school-based services and a level 2 fieldwork requirement! the graduate school curriculum to include an “early intervention/school based/medical based” pediatrics elective. I would have had more exposure to the schools in general. The culture, lingo, rules, and regulations in the schools are SO different from a medical model. More focus on school based OT versus only hospital based or center based pediatric services. School based OT was not truly discussed in my education. There should be a class required for school therapists (when I was in school I needed to do 9 extra classes of special education information) before getting my DPI license. I don’t think that is needed but a class or continuing ed requirement to instruct therapists what school based therapy means and review of evidence based practice. Its not just starting medical therapy in the school environment, it is a different way to practice. Do an internship of 12 weeks in a school system–not available at the time of my formal OT education, but is now available! the amount of time given in instruction about school based therapy. This is misleading, as I was trained BEFORE school based was an option. As with any area of practice however, the school training is to show the way for life long learning in that practice setting, and not to have all the answers! Basic classroom management knowledge, working as support for a teacher in a classroom vs leading a therapy session. include a first year mentor connection. I would press for more opportunities to develop treatment sessions, try to find out what actual practicing OTs used as resources for school based therapy , I would volunteer and shadow school-based therapists to see “how they did what they did”. Nothing. I was able to have more than one field experience in pediatrics and in the school setting. That was extremely helpful. make sure I got to do a pediatric level 2 rotation. Learn more about different ways OT support schools and teacher consultation. I would have a better understanding between school based therapy verse outpatient therapy from all areas such as treatment, billing, documentation, etc. learning more about OT in the educational process. More in depth knowledge of differences between school based and clinic based therapy. I would make sure future special education teachers know they WILL be doing therapy. Training on in-classroom learning; curricular awareness; therapist-teacher collaboration. actually add more school OT course work including a lab on SI in the schools. Education in Sped forms. We use them for IEP writing goals. Evaluation Reports, progress notes etc. Would have to do a pediatric internship before graduation. Doing more shadowing of a school therapist. complete a clinical in the schools. Take a course in iep developing, goals , timing, filling out online forms…. All about the paperwork. More hands on time with high tone children!! The fact that we would have received more pediatric courses and more on how to do consults versus clinical interventions. When I enrolled; I would have started this career when I was younger. I would require IDEA laws to be reviewed in school. my experience in my peds class, if I could, so there would be content about school-based therapy. Make it manditory for those interested in school based therapy to do a third internship. I did back in the 80’s and it was super helpful. Developing a stronger skill set in providing appropriate level of services for school based PT, including a framework for the why, when, what, and how to provide a much needed service in an area where administrators and teachers often do not understand the correlation between motor and learning. more information on Improperly integrated primitive reflexes and the effect they have on students educational abilities. Education on how school based therapy is different than clinical therapy. have had more practice in the schools–but PTs weren’t in the schools back in 1969! The fact that I did not do a practicum in the schools. Instruction about all the facets of school therapy that are not hands on services. I had 14 yrs exp in adapted pe. Need more peds in both my cota and master’s programs. We got one semester out 10 in my masters program. I would offer programs that combine behavioral health/social work with occupational therapy theories and interventions. I would also work on screening children ages 3-6 and developing better access to equal resources plus offer professional development because when we understand the reason we see unwanted behaviors in class, we are able to provide adequate and consistent interventions. I would love to talk with someone about a model that combines OT and LCSW/mental-behavioral health. It certainly would be ideal to have an internship in a school setting. The ability to focus on a preferred setting. I understand we all may work in different settings here and there. I went into PTA school 100% knowing I wanted to work in school therapy and was unable to focus or learn much about it during my actual education. I would love to go back to PT school but don’t want to put in the years to not learn about the setting I will end up working in. The ability to get a school based clinical affiliation. Having a fieldwork that was in a school. The amount of information cover during my education. Understood better what standarized tests to administer. more peds courses. I did not have enough peds courses in college. I learned everything through co-workers and reading on my own. OT’s role in the school. How to do push in therapy effectively. doing a practicum in the schools in place of the Psych one. More hands on experience as a student. All therapist school based or clinic base need to have a better understanding of the limitations within the educational setting and build a more cooperative approach. Having a school based Fieldwork experience. More experience evaluation and finding a child eligible or not for school-based OT services. that I didn’t even know school-based PT existed! There should be education about the law and our role. What does it mean to be related to educational services and how do we help students access and progress in the curriculum not just offer outpatient service in a school building. the amount of time spent covering special education laws. We were offered an optional 2 day lecture on OT in the schools that took place during one of our breaks. While it was great, it was not enough for a new grad to confidently go in to the school setting. more learning about the school process, IEPs and ETRs. I can’t think of anything. I didn’t expect as much hypocrisy as there is. Having more emphasis/a class or speaker on school related OT services versus clinical services. I would mandate a FWII school-based experience if I wanted to be considered for this position right after graduation. the curriculum by adding a course that detailed IEP’s, LRE, educational based OT, addressed handwriting and ADL;s appropriate for children. Only comes from experience. I wish I had a mentor. the curriculum to have less theory and more “nuts-and-bolts” how to do it, hands on training. Learning how to administer tests and write reports. I was lucky enough to have a school based clinical rotation. My classes did not have any information regarding school based services. I was very glad to have had a firm foundation in rehab before providing school based therapy. I wouldn’t change a thing! More instruction in the special education law and what school based PT can provide vs. a medical model. Not having “hands on” experiences when learning. the amount of pediatric information I received. However, I graduated 22 years ago with a BS so there was no real focus in any one population/area of treatment. I have like to take a course of Department of Education laws and Federal laws and how the school functions within those laws. have more experience during internship with school based OT services. I would recommend working in a school district with mentors. more classes that focused on pediatric services in different settings. The cost of tuition and reduction of student loans! How much knowledge (or lack of knowledge actually) I had about Special Education and the law regarding school-based therapy services. have had more practical experiences in the school setting prior to graduating. I had a clinical but the OT was relatively absent and I functioned independently way before I was ready. More information on the all the special ed services provided and my role in the spec ed program. Also, how to determine the level of services needed. How do i make the biggest impact on his education. What ways can support the special ed program of the school. Practice of assessments used in school based settings along with a review of interpreting the results. teach me to be an OT, not just about occupational therapy! I would have a better understanding of the importance of sensory systems to overall functioning and learning. I think it should be a bachelors degree. I would love to have a continued program to get OTR degree from COTA in Delaware. include instruction on educationally relevant therapy. I would add more information about IDEA & how each State interprets it & applies to the educational environment. a longer appreticeship/student teaching experience with a real classroom and master teacher. I sure have appreciated your site. Thank you. the amount of training/education on the difference between outpatient and school based OT, including case studies of when a child does and does not qualify for school OT. More hands on experience with testing and evaluation write ups. Also direct contact with children w disabilities. College education is very text book and unfortunately in the world of OT every day and patient is different. Otherwise I felt prepared. that we received more schooling on the topic of sensory processing. Added School Based Therapy into a lecture. I got a handout to review on my own when in PT school. More education on sensory processing and integration. More field work in the schools. Understanding how OT should fit into the school-based environment. What should be done at school and what should be left to the clinical therapists working with the same children. I would have done one of my Level 2 fieldwork experiences in schools. Anyone who is engaged in school based services should be knowledgeable about the education laws. More emphasis on mental health issues in schools and for kids. Increased education on teacher/therapist collaboration and the importance of this. OTs are not just handwriting experts as they are often used in school. OTs should be more involved in leadership positions in schools. I would like to have more time observing in the schools and learning about the legal matters regarding school based therapy. I completed a third practicum in the schools and feel his should be mandatory before practicing in the schools. The pediatrics section of my program was primarily focused on medical treatment and therapies. It would have been nice to have had a class on school based therapy. by advocating for more experiential learning. I think more information about the process and understanding educational therapy verses medical therapy. It would be nice to have better explainations for families. I took the courses needed to be certified to work in the schools while in college. I think what best prepared me was doing the work and studying/taking specific continuing ed while I was working. Increased experience with opportunities outside of healthcare for OT’s. more exposure to different diagnoses. How to advocate for our profession in school setting. The program by adding more hands on opportunities. I would have done a level 2 in the schools; I only had level 1 experience. the understanding of workload vs caseload and know how to defend and enforce the ODE rules of 50 students or 40 preschoolers. A fieldwork session within the school setting…even if it was just 2-3 weeks. Give more appropriate school based therapy courses. There was only 1 peds course in my MS/OT program and it had nothing to do with school based therapy. A pediatric internship should be a requirement in addition to physical disabilities and mental health. I would have taken a specific class in setting specific OT practice if it were available. to have completed a Level 2 fieldwork in a public school system. put a greater emphasis on the developmental stages of motor skills and normal gait. that every therapist do a school based clinical. Understanding the role of related services in the schools. that I wasn’t able to complete any fieldwork rotations in the school/preschool setting due to limited availability. Being a hands-on learner, that would have better prepared me for this setting. Also, sensory needs are difficult to understand on paper, and still so in person. Fieldwork so it was aligned with best practices. Doing an internship in public schools where educationally based therapy laws are enacted. I did mine in a private pediatric clinic that contracted to schools instead. Learn more about the IEP process. more opportunities to learn what teachers and staff NEED to help the students with carry over and their understanding of OT school wide. More information on the different “alphabet soup” involved in a school setting- 504/IEP/RtI and all the paperwork that goes into it. more access to school based clinicals. Our clinical time typically occurred over the summer and when school was not in session. Having actual “school based” student teaching instead of doing it in the clinic at the University. Clinic is a far cry from public school. the depth of content taught. Understanding IDEIA and Special Education law. opportunity to view and write real evaluations, IEPs, medicaid portals and be made aware of other responsibilities beyond treatment goals and therapy session activities. Include opportunities to shadow OT in classroom/school-based therapy. add to curriculum more about modifying/adapting activities/materials/tools for students of varying abilities. Have an entire class on it. I believe we covered school based therapy in about 2 days of our peds course. All of my training came from my internship in the schools. the amount of schooling and handling time with pediatric students. School based therapy is so much on the job training!!!! how limiting it can be for therapists. education was great, but so much of what we learn doesn’t happen until we are on the job. focus to include more resources and mentoring on autism spectrum/sensory diet research and tools to integrate into my daily caseload. I have been a school-based therapist for 20 years. Students now are probably getting this. I am learning everyday to keep up with the latest research. Have a internship with pediatrics. I had two with adults. Offer a pathway/certification/emphasis for this area. One peds class with a blip about IDEA is not enough! Include in Pediatrics courses school-based therapy and ideas. Increased focus on children in general…what I did get was heavily weighted toward EI and preschool. School-aged kids weren’t really covered at all.